The Wanderers Club is non-traditional travels and events organizer and partner, known both in Lithuanian and abroad. 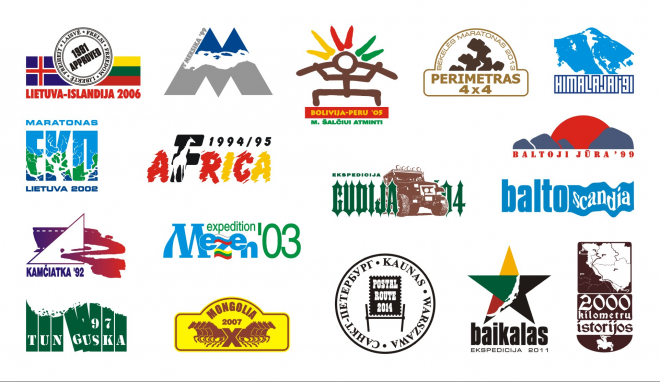 Our famous events include expeditions “Kamchatka 1992”, “Africa 1994/95”, “Tunguska 1997”, “Himalayas 1998”, “Mexico 1999”, “Mezen 2003” in the Russian North, “Bolivia-Peru 2005”, a canoes trip across the Baltic Sea “Batlskoandia 1999”, ultramarathon swimming “Nemunas’99”, gratitude campaign “Lithuania – Iceland 2006”, expedition “Mongolia 2007”, project “2000 kilometers of history” in 2010, in which a group of horsemen rode little Samogitians, a historic Lithuanian horse breed, from Trakai to Ochakiv in Ukraine by the Black Sea, and the 2011 adventure expedition “Baikal 2011”, commemorating the 70th anniversary of Soviet deportations from Lihuania. All these journeys and projects were made into films or TV reports, broadcast on various countries’ televisions, they were also covered by photography exhibitions, articles, books, and albums. The Wanderers Club last project – a travel by post carriages in 2014, “Latvia-Lithuania-Poland 2014”, on the old post road Saint Petersburg – Kaunas – Warsaw, received a lot of attention from the public and the media, and is being made into a film which will be shown on Lithuanian television. The Wanderers Club was the organiser and partner of many international events over the years, the most well-known of these are “Vilnius Off-Road Club Cup”, “Marathon ecoLithuania”, “4×4 Perimeter”, and “Vilnius Regatta”.